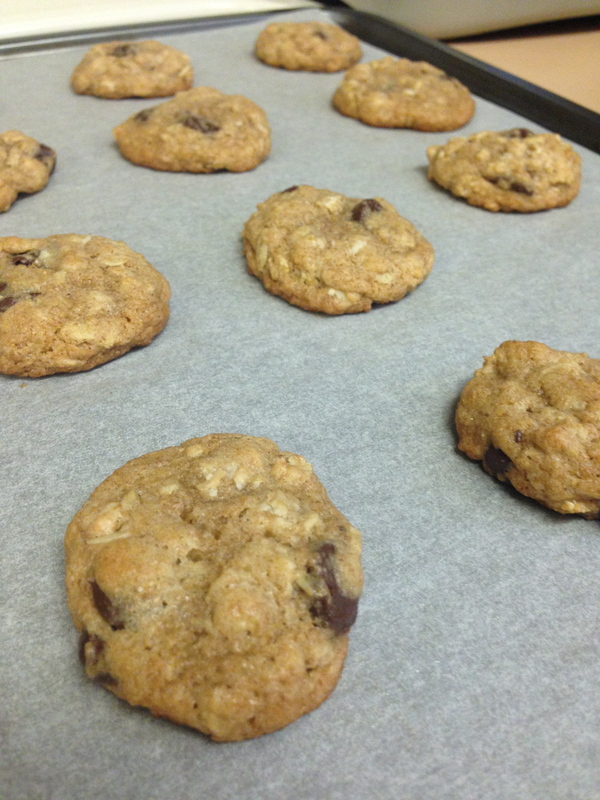 You just can’t go wrong with chocolate chip oatmeal cookies! They’re one of my absolute favorites to make, because they’re so easy and such a crowd-pleaser. This is exactly why I decided to bake some for Christmas to hand out to friends and family. However, I had been doing so much baking, that I ran out of all-purpose flour. SO, I found a recipe using whole wheat flour instead. Perfect! 2. In a medium bowl, sift together the flour, baking soda, baking powder, and salt. Set aside. 3. Using a mixer, cream the sugars with the softened butter for about two to three minutes until light and fluffy. 4. Add in the egg, vanilla, and milk. Mix until smooth. 5. Slowly add the dry ingredients into the wet ingredients, with the mixer on low. Mix just until flour disappears. Don’t over mix. 6. 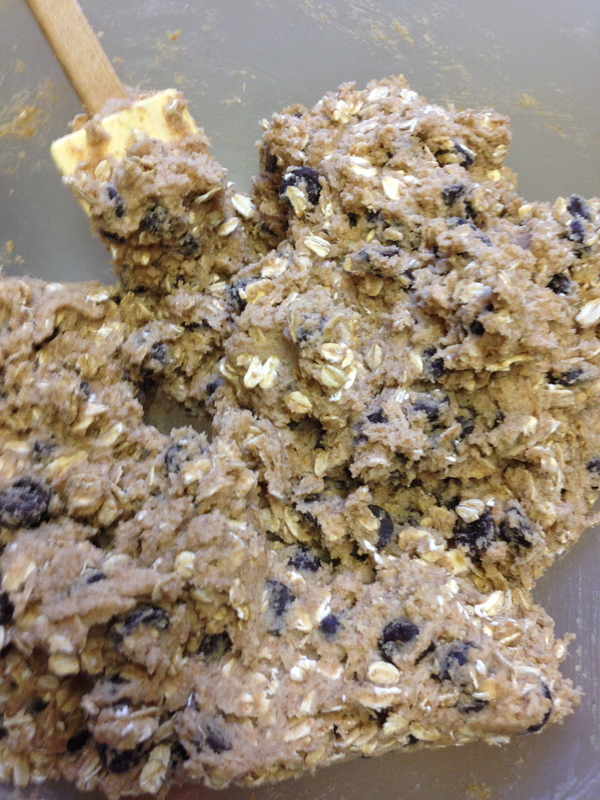 Stir in the oats and chocolate chips by hand. 7. 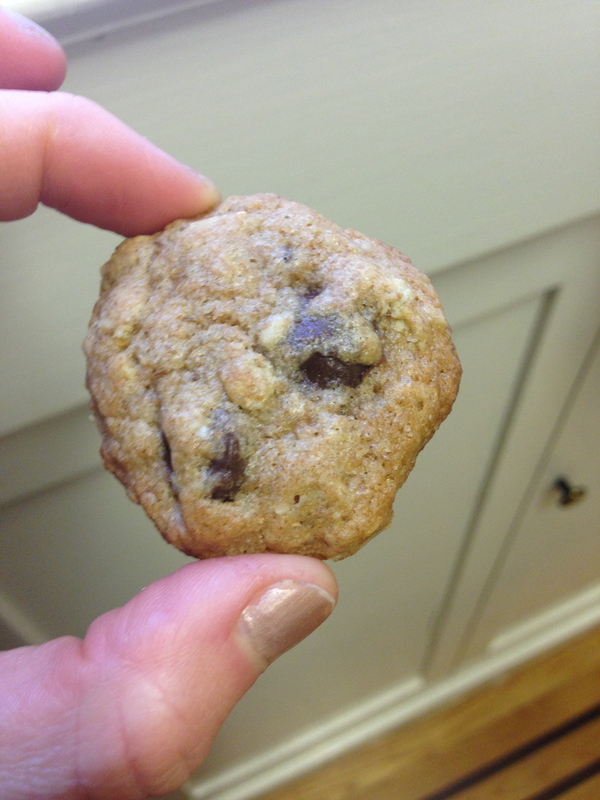 Form rounded cookie dough balls. 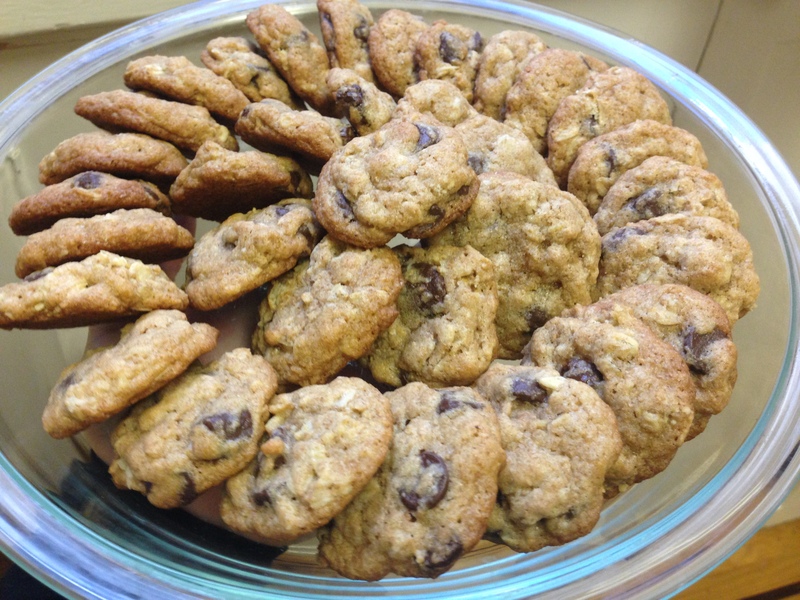 Depending on how big you want your cookies, you can use 1 teaspoon to 1 tablespoon of dough. I used a heaping teaspoon, rolled into small balls and baked for 9 minutes and they were perfectly lightly browned. 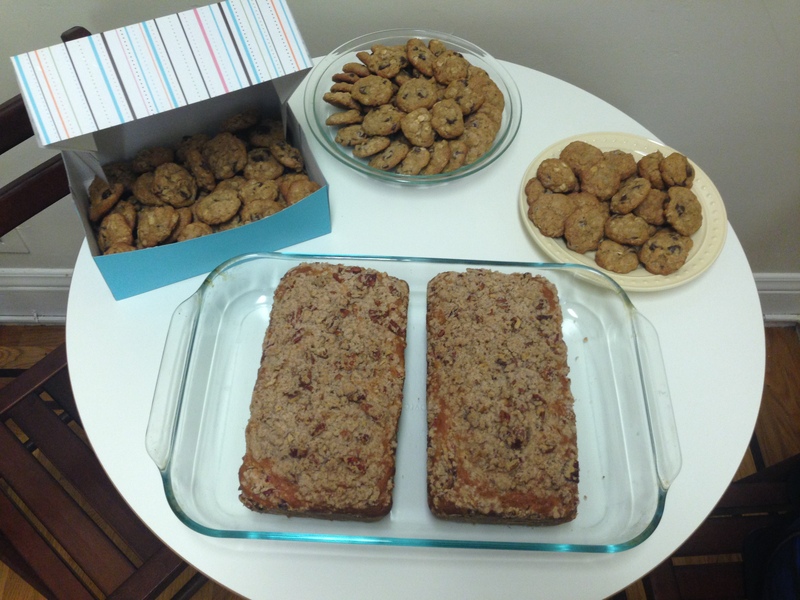 The original recipe calls for a tablespoon of dough, baked for 11-12 minutes, yield 2 dozen cookies. 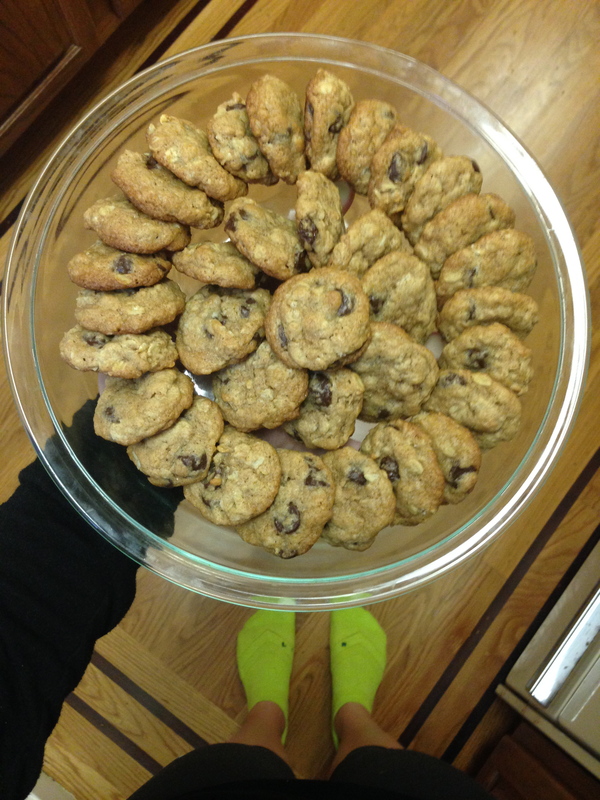 Since I doubled the recipe and made smaller cookies, it made too many cookies to count! Along with my Cranberry Orange Pecan Coffee Cake, these cookies made the perfect holiday treats to hand out to friends and family! These we wonderful! Thank you! These were delicious! Best cookie ever!